Heereweg 30, 1871 Bergen, Netherlands. 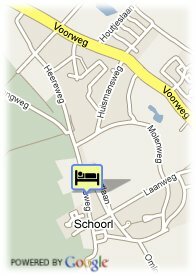 'De Herberg' is a cosy and comfortable family hotel and we recently acquired an addition 'Het Landuis'. 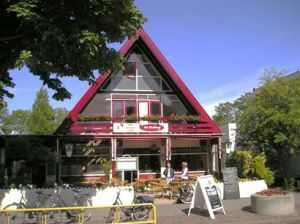 The cosy inn is situated in the centre of the town of Schoorl. 'Het Landhuis' can be found at a stone's throw just outside the centre. 'De Herberg' is a ideal location for an active and relaxing stay close to the beautiful dunes in North-Holland. From our hotel you are surrounded by the dunes in less than one minut. By bike you will find yourself in about 10 min on the beach or in the centre of Bergen. With the car you reach Alkmaar in 10 minutes.